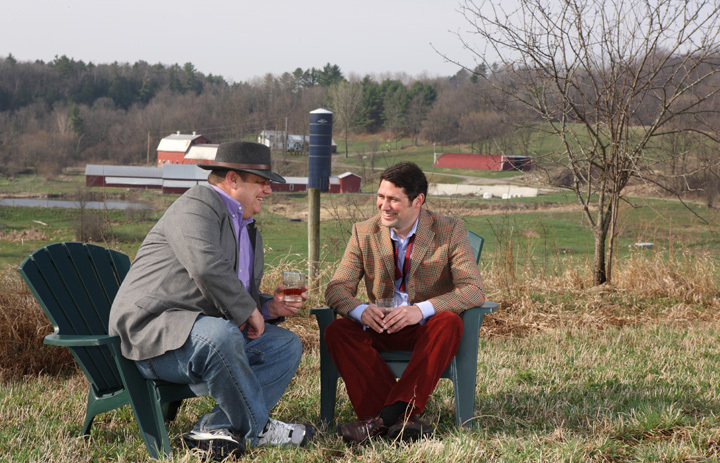 If this was your office, you'd be smiling too: David Pickerell (L) and Raj Peter Bhakta (R) at the WhistlePig Farm Distillery. A group of spirits cognoscenti gathered at Seven Grand last Thursday for the Los Angeles launch of WhistlePig Straight Rye Whiskey, a 100 proof, 100 percent rye whiskey, aged for a minimum of ten years in oak barrels. Founded in 2010, WhistlePig is hand-bottled at the WhistlePig Farm Distillery, located on a former dairy farm in Shoreham, Vermont. Its debut release is a 10 year old Canadian rye, discovered by WhistlePig Master Distiller David Pickerell after he searched North America for over a year. According to WhistlePig, Pickerell feels that this rye hits “the sweet spot” in proof, percent, and age. Future plans call for WhistlePig to grow organic rye on the farm for use in its whiskeys, which will all be distilled and aged on site. The launch event was hosted by WhistlePig President Raj Peter Bhakta and Pickerell. Among those in attendance were Chris Bostick (The Varnish), Julian Cox (Rivera), Ron Dollette (Lush Angeles), Wyatt Peabody (Bon Savant), Jason Schiffer (320 Main), Alex Straus (The Cocktail Consultant) and Aaron Tell (Savory Hunter). Thanks to early evening traffic I missed the presentation, but after we were introduced Bhakta graciously offered to buy me a Manhattan. Bhakta began his business career in investment banking before moving on to the automobile and real estate sectors. He’s made appearances on “The Apprentice” as well as Fox News and CNN, as a political and current events commentator. Bhakta told me WhistlePig’s mission is simple: to create the best rye whiskey in the world. I was then introduced to David Pickerell, who was previously the Master Distiller of Maker’s Mark from 1994 to 2008. More recently, he was the Master Distiller at George Washington’s Distillery at Mount Vernon, restoring the original stills built in 1814. For the Mount Vernon project, Pickerell oversaw the first commercial production of George Washington’s Rye Whiskey. Pickerell told me he actually hadn’t planned on being in Los Angeles, but was convinced to do so and was glad he made the trip. As Wyatt notes in his recap, they’d visited Rivera, The Varnish, and The Edison before Seven Grand; Pickerell was very impressed with what he’d seen. As my Manhattan was mixed, Ron gave me a sip from his glass of WhistlePig. The encounter was brief but memorable: WhistlePig begins with a rich and spicy nose of oak, caramel and orange peel, followed by clove and anise. The palate is full and complex, with warm, sweet and floral notes of caramel and vanilla, then a wonderful hit of rye and a hint of chocolate at the end. The finish is long and velvety, with lingering rye and caramel. Then I took a sip of my Manhattan, and I was stunned. I’ve ordered many a Manhattan at Seven Grand, which is still one of my favorite bars in L.A. to enjoy my go-to cocktail. Fueled by the outstanding WhistlePig, this was one of the best Manhattans I’ve ever had. The rye, floral, sweet and spice elements, with just a hint of tartness from the lemon twist, all came together in a chilled coupe of cocktail bliss. 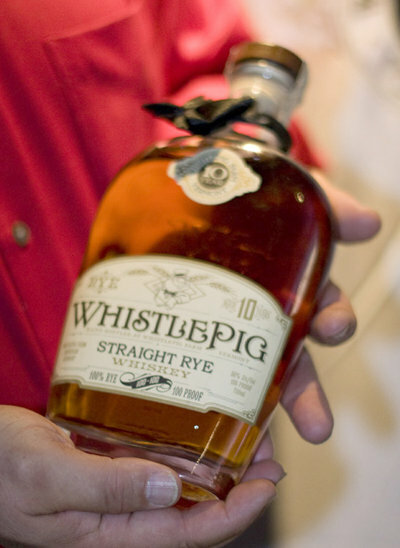 WhistlePig is sure to be highly-sought after, thanks to a limited initial offering of just 1000 cases. It’s not to be missed and well worth seeking out. Locally, WhistlePig is available at K&L WIne Merchants and Wally’s Wine and Spirits. Available in California, New York, Illinois and other select markets. Limited initial offering of 1000 cases. For more information, visit whistlepigwhiskey.com. WhistlePig Cocktails – Two New Orleans classics get the WhistlePig treatment: the Sazerac and the Vieux Carré. 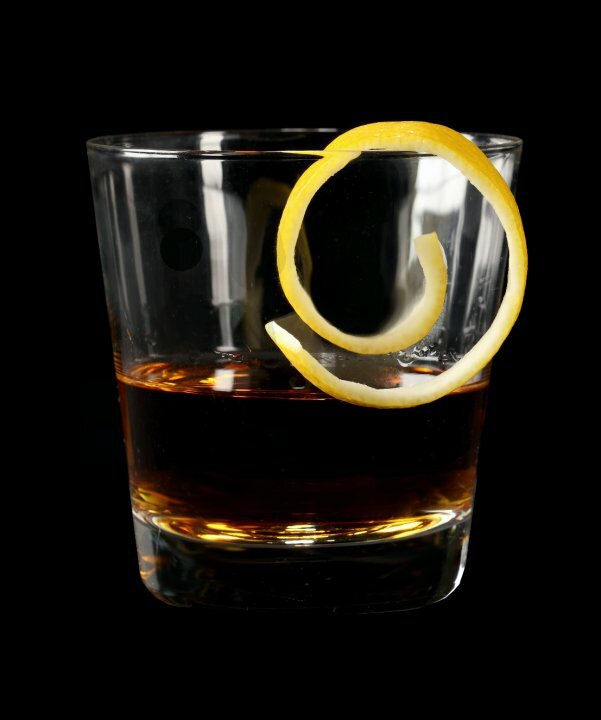 Place ice in an old fashioned glass. Pour absinthe to coat the glass. Pour WhistlePig Straight Rye Whiskey and bitters and garnish with lemon peel. Justin Leone mixes Les Vieux Cochons at Benny's Chop House. 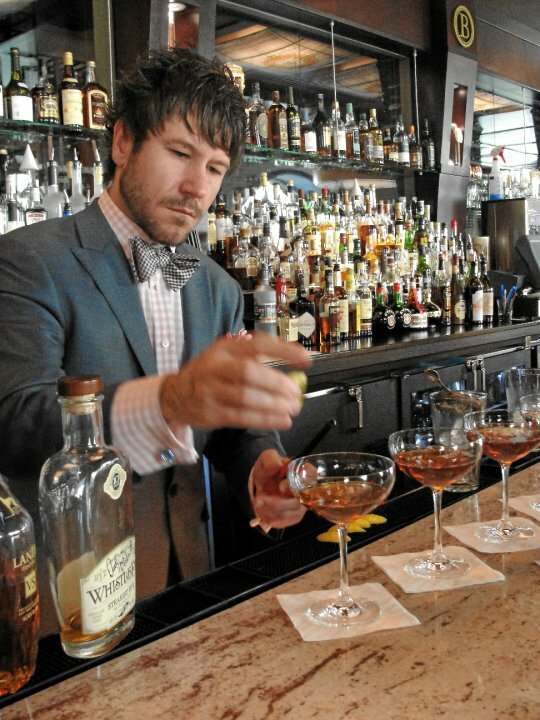 A WhistlePig-based version of the Vieux Carré, by Justin Leone (Benny’s Chop House, Chicago). Garnish with a flamed lemon rind. Photos and recipes courtesy of WhistlePig.